All “ANSWER STANDS” come complete with choice of red or green bowls, and red tips. Medium (3 legs, 36 inch diameter) are recommended for trees up to 6 feet. Super Medium 5 Leg (5 legs, 36 inch diameter) offers the added stability of a 5 leg stand with a smaller overall diameter, recommended for trees up to 8 feet. Large (3 legs, 48 inch diameter) are recommended for trees up to 9 feet. Super 3 Leg (3 legs, 56 inch diameter) are recommended for trees up to 10 feet. Super 5 Leg (5 legs, 52 inch diameter) are recommended for trees up to 10 feet. Our NEW Answer Stand Models have interchangeable centers; the legs attach and remove with a simple push of the snap button! Legs are tubular steel with a powder-coated finish. Medium is recommended for trees up to 6'; Large is recommended for trees up to 9'. All stands are FOB Gobles, MI please contact for shipping and handling pricing. 1 HP Electric motor for Christmas tree drill machines, can be wired for either 110v or 220v, making it flexible for most retail tree lot setups. With the 5/8 inch hardened pins and the heavy duty removable legs, it is easily the best tree stand on the market. Trees will be greener longer with it's 6 quart water capacity. Deluxe locking top guide includes toggle clamp, helps to center your tree on the drill machine for a perfect center hole. This tree drill enables you to complete your answer stand system and set up your retail tree lot with ease and efficiency. 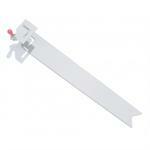 Replacement toggle clamp for the deluxe tree drill top guide. 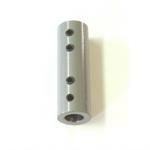 Replacement drill chuck for the answer stand deluxe tree drill. 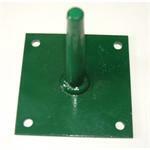 Pin plates are available in either 4x4 or 10x10 inch ground pins for retail tree lot set up. Order these tree lot supplies by the case or each. Replacement water bowls for the answer stand tree stand. Choose normal 6 quart or large 10 quart size. 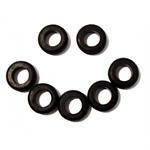 Replacement rubber grommets for the answer stand water bowls, sold in packs of 10. High production round drill bit, with a 5/8 inch x 3/8 inch taper, for use with the Christmas tree drill machine.